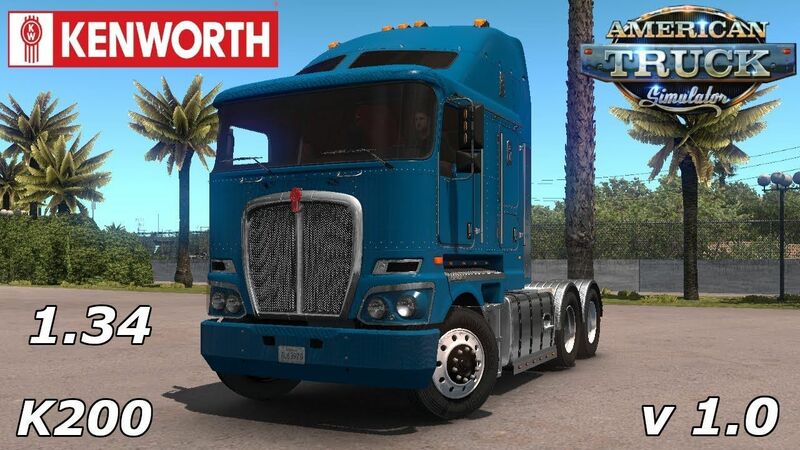 Gameplay video with Kenworth K200 Custom (1.34.x) for American Truck Simulator game. The Kenworth K200 is one of the leading trucks for hauling goods in Australia. It is registered in the auto Iveco. It is found in the company's orders. Present in the gallery tractors. Has the real engines, transmissions, sound, interior cabin with right and left-hand drive, additional controls, and their coloring templanty editing. Residence permit, icons and sounds open for editing. Access to the rest of the fashion closed. Thank you for making it to ATS. Great truck! Your welcome and Best regards!